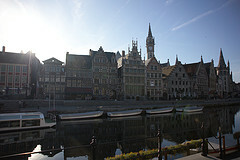 Ghent arose at the confluence of the rivers Lys and Scheldt. Through the centuries, these rivers were the pulsating veins of the city. 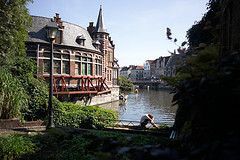 Today, the historical centre enjoys more than ever the unique atmosphere provided by the idyllic rivers and canals. 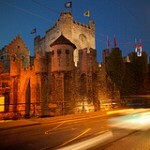 The city of Ghent combines an impressive past with a vivid present. Ghent, the capital of East Flanders, is one of the most beautiful historic cities in Europe and the Belgian city with the most listed monuments, many of which are protected by UNESCO and registered on its World Heritage List. 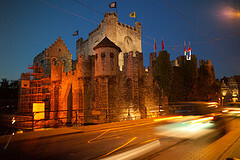 Indeed, strolling through Ghent often coincides with an adventurous travel through history. 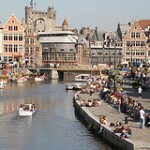 But above all, Ghent is alive! In this famous university city pounds the young heart of a dazzling centre of culture with music, theatre, film and visual arts. A city where cultural perspectives are constantly renewed and enlarged, where culture is a feast and where feasting is a form of culture. 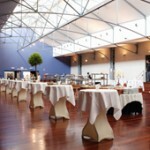 The city houses almost 300 restaurants, where the famous Belgian and French cuisine are on the menu. 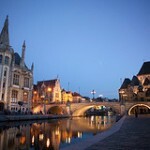 Ghent is also known for its regional beers and jenevers available in the many cosy pubs. At walking distance from the historical centre, lies the International Convention Centre (ICC Ghent) in an oasis of peace in Ghent’s Citadelpark among small lakes and lots of green. Brussels Airport, Belgium’s main international airport is situated in the town of Zaventem (appr. 65 kilometres/40 miles from Ghent). Flight schedules for departures and arrivals are available at the official Brussels airport website at www.brusselsairport.be. 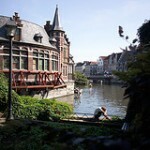 The easiest way to travel from Brussels airport to Ghent is by train. 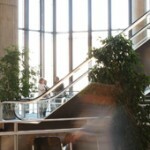 The train station at the airport is located on level -1 of the airport building. 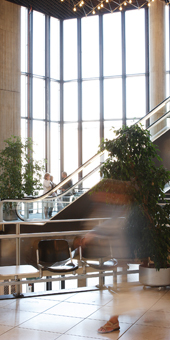 The Airport City Express Train leaves 4 times an hour to Brussels North, Central and South Station, from where you can take a connecting train to Gent-Sint-Pieters, the main railway station in Ghent. 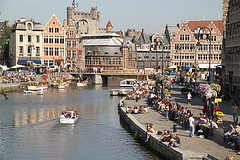 The complete journey by train from Brussels airport to Ghent will take in between 1 and 1,5 hour, depending on the connection. Timetables are available on the Belgian Railways website (www.b-rail.be). 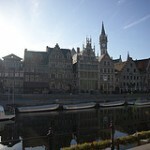 You can also travel from Brussels airport to Ghent by taxi. The estimated charge is 150 € – 200 €. Taxis (metered) are only available outside the airport arrivals hall. It is strongly recommended to use licensed taxis only. They can be recognised by the yellow and blue license emblem. Most taxis accept credit cards. There is a direct international (Thalys) train connection between Paris and Ghent. If you are travelling from Amsterdam or London, you will need to change in Brussels. For more information and timetables visit www.thalys.be (for connections from Paris and Amsterdam) or www.eurostar.com (for connections from London). Timetables, prices and information on international train connections between Brussels and other European cities are available on www.b-rail.be under ‘Travelling in Europe’. International trains usually arrive and leave from Brussels South Station (“Bruxelles Midi” in French/”Brussel Zuid” in Dutch), from where you can catch a train to Ghent. The train journey between Brussels and Ghent takes app. 30 minutes. 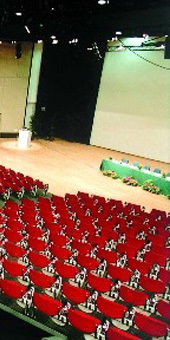 The conference centre ICC Ghent is located at a 15 minute walk or a 5 minute bus ride from Gent-Sint-Pieters station. 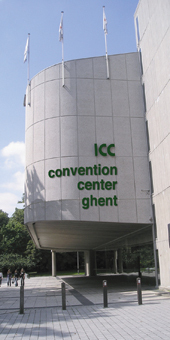 The following bus routes have a stop on “Ledeganckstraat”, directly opposite the main entrance to the ICC Ghent: routes 9, 28, 34, 35, 36, 55, 57, 58, 71, 72, 76, 94, 95. Tickets can be purchased from the bus driver or (preferably) in the railway station, where lower prices are charged. You can also purchase day-passes or 3- or 5-day passes. The pass is valid on all buses and trams of “De Lijn”, the public transport company. For each journey, the pass needs to be inserted in the yellow registration machine that is available on the bus/tram. 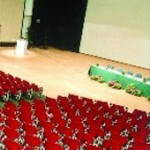 To plan your journey, please refer to www.viamichelin.com. If you have GPS, please select “Hofbouwlaan” or “Citadelpark”. 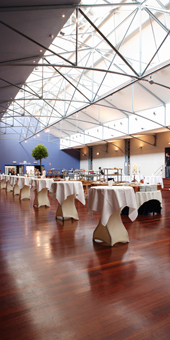 Follow the E17 motorway in the direction of Ghent and take the “Gent-Centrum” exit. After the “Gent-Centrum” exit, keep to the right (down alongside the viaduct, follow “Alle richtingen”). Get into the left-hand lane before the traffic lights. At the traffic lights, turn left under the bridge onto Sint-Lievenslaan. At the second traffic lights, double junction, follow through to the left, direction “Oudenaarde”. Keep the Museum of Fine Arts on your left and SMAK on your right. 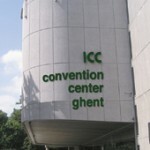 Approximately 50 metres down the road you will find the ICC Ghent (Hofbouwlaan) on the right-hand side. Follow the E40 motorway in the direction of Ghent. Turn onto the E17 Antwerp-Ghent. After the “Gent-Centrum” exit, keep to the right (down alongside the viaduct, follow “alle richtingen”). Get into the left-hand lane before the traffic lights. At the traffic lights, turn left under the bridge onto Sint-Lievenslaan.